In the first week of October, the Ministry of Environment, Forests and Climate Change issued an amendment to the Coastal Regulation Zone Notification, 2011, which regulates development on India’s coastline. The change in the rules allows the mining of atomic minerals (such as uranium and thorium, which are mostly used to generate nuclear energy) in Coastal Regulation Zone areas notwithstanding their availability in other areas. While environmentalists have expressed concern over this amendment and its implications on fragile coastal areas, the change is worrisome for another reason. This is the eighth time in the last three years that the ministry has dispensed with the requirement of a public notice and instead of first issuing a draft has straight away come out with a final amendment to the notification. The Coastal Regulation Zone Notification was first issued in 1991. It saw close to 20 amendments and eight reviews in the following 20 years before it was replaced by a new notification in 2011. While the 2011 notification was to piece together all these amendments in one document, it also presented an opportunity for public engagement in designing a law. Numerous consultations, dialogue and negotiations between key actors including fishing groups, civil society, environmentalists, urban planners and policy-makers preceded the new law. But three years later, the notification was subjected to a review by an expert committee and a series of amendments – the number of which has now reached 12. Of these 12 amendments, eight were issued without first publishing a draft that would have enabled feedback from concerned citizens and those likely to be affected by the changes. And of the eight amendments, four dealt with extending the validity of the existing Coastal Zone Management Plan that was approved under the 1991 notification. The Coastal Zone Management Plan is a reference document that guides coastal development and implementation of the Coastal Regulation Zone Notification. In 2011, as a new notification replaced the 1991 version, it brought with it the need to prepare a fresh Coastal Zone Management Plan within two years, for the old plan would cease to be valid by then. However, the new plan is still in the making and the existing plan has been given several extensions, the latest one in July. Transfer of powers to appraise certain coastal projects that are not listed in the Environment Impact Assessment Notification from the Ministry of Environment, Forests and Climate Change to the State Environment Impact Assessment Authorities (November 2014). The Environment Impact Assessment Notification, 2006, provides a list of projects that require environmental clearance before being set up. It categorises the projects as A and B depending on their capacity and size. Projects in category A require environmental clearance from the ministry while those in category B seek clearance from the concerned State Environment Impact Assessment Authority. For any project to come up in a coastal area, permission from the concerned state-level coastal authority is mandatory. This is in addition to the environment clearance (if required). With this amendment, some projects that do not require environmental clearance, which would have reached the ministry earlier, would now approach these state-level appraisal authorities for final approval. For instance, a beach resort on the northern coast of Karnataka received its final coastal clearance from the ministry in 2010. If it were to be proposed now, it would receive its final approval from the Karnataka State Environment Impact Assessment Authority. Permitting relaxations to tourism projects in urban areas of Coastal Regulation Zones (February 2015). These relaxations included lifting the ban on withdrawal of groundwater from near the coast, and doing away with the requirement of maintaining a path between two tourist structures to access the beach. Permitting construction of a memorial to BR Ambedkar in Mumbai on Indu 6 Mills lands, an ecologically sensitive coastal area (December 2016). The memorial would include a 350-foot statue, a library, a pond and a viewing deck among other structures. The memorial has been in discussion for over a decade and both the Congress and Bharatiya Janata Party governments have in the past tried to get the requisite permissions for it to attract Dalit voters, especially around election time. This amendment, thus, was expected to be of consequence to the BJP as it came ahead of civic body elections in Mumbai and other major cities of Maharashtra. Permitting mining of atomic minerals in Coastal Regulation Zones (October 2017). Earlier, only mining of “rare minerals” that were not available outside of these areas was permitted. While allowing relaxations to tourism projects, the ministry did not acknowledge that it was evading the issuance of a draft – perhaps because the changes brought through this amendment lay in an annexure (and not the main text) of the notification, which provides guidelines for the construction of hotels and beach resorts in Coastal Regulation Zones. But in the seven other amendments, the ministry cited “public interest” to justify this snipping of the legal procedure of amending a piece of law. Allowing mining and relaxations to tourism projects in coastal regions has direct implications for a large section of the population that resides in these areas. It affects the livelihoods of people living in more than 3,200 fishing villages. If we factor in the ecological services of the coast – erosion control, water balance and waste processing, among others – the entire population of the country seems to have a stake in coastal protection and regulation. Instead, the ministry seems to imply that the mining of atomic minerals (irrespective of whether they are available in mainland areas or not) and the construction of memorials is in public interest. This offers a twisted understanding of the word. Using the public interest clause and dispensing with the need to seek public comment on activities that undermine coastal conservation and livelihoods is contradictory in itself. In a way, the government is saying that the matter is of public interest but does not warrant an input from the public. This discretionary use of public interest sets a wrong precedent: in the past three years, reviews, amendments and circulars pertaining to the Coastal Regulation Zone Notification have largely been closed-door activities. In 2014, the committee tasked with reviewing the notification consulted only the state governments and submitted its report to the ministry in January 2015. The report was kept out of public view until the Central Information Commission, in response to a Right to Information application, directed the government to disclose it in June 2016. All this while, amendments to the notification – some with drafts and many without – continued. Amendments for the transfer of powers to state governments and to allow special structures in Mumbai seem to be directed at pleasing the states. 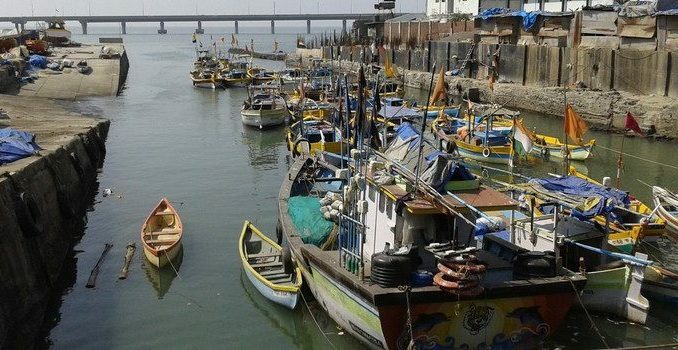 Earlier this month, Union Environment Minister Harsh Vardhan substantiated this when he said policies on coastal regulation would be prepared in consultation with state governments. Time and again, the Centre has shown an inclination towards appeasing state governments while ignoring the coastal population and the general public. The abuse of the phrase public interest that has been witnessed in the forming of coastal rules is perhaps taking place in other legislations too. Its exploitation not only weakens the concerned legislation, it slowly starts a trend where the public is bypassed and kept outside the arena of policy-making. Meenakshi Kapoor and Krithika Dinesh are with the Centre for Policy Research-Namati Environmental Justice Program.